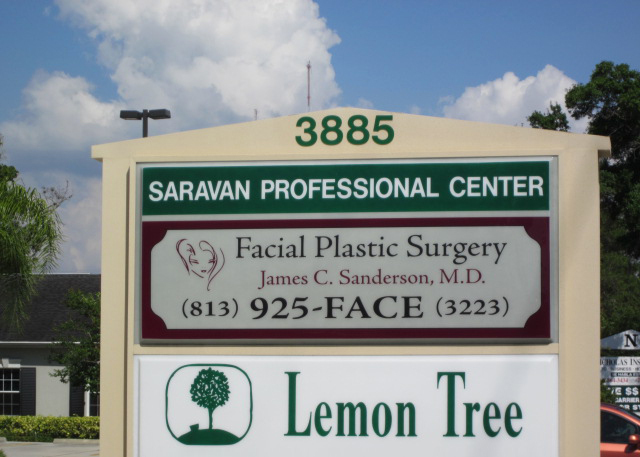 The facelift has been an extremely successful operation over the decades that it has been used. It is designed to (as the name implies), lift the tissues of the face. There are, however, several different approaches to the facelift, and various versions which have been promoted in recent years. The traditional facelift is designed to lift the cheeks, improve the “jowls”, and tighten the neck below the chin. This is considered to be a “lower” facelift, but essentially entails lifting the lower 2/3rds of the face and upper ½ of the neck. The incisions for this procedure are performed in front of and behind the ears as well as a small incision below the chin. The Brow lift is designed to lift the forehead and eyebrows and can be accomplished by a variety of means. The older technique involves cutting from ear to ear and lifting up the scalp and is not very common anymore. We use a newer method that involves using endoscopic instruments and small incisions to lift and secure the forehead. These procedures can usually be performed at the same time as a facelift. For those patients who have no problems with their neck, and just want to lift the cheeks and tighten the jowls some, the minilift is often the best procedure. In this procedure, the incisions on the sides of the cheeks are performed, as in a facelift. However, the incision is much shorter and does not involve nearly as much dissection behind the ear or into the neck. The recovery is usually a little faster than a full facelift. Each of these procedures is performed in the operating room, under sterile conditions. Afterward, the patient will have a bandage on the sides of the face, and will be applying ice packs to the front of the face. There can be quite a lot of swelling and some bruising of the area which usually lasts for a couple of weeks. Although there is usually not much discomfort during this period, most of these procedures require 7-14 days before the patient is presentable to society again. Read more on: Specialty Skin Care, Botox™, Juvederm™ and Laser Skin Resurfacing.